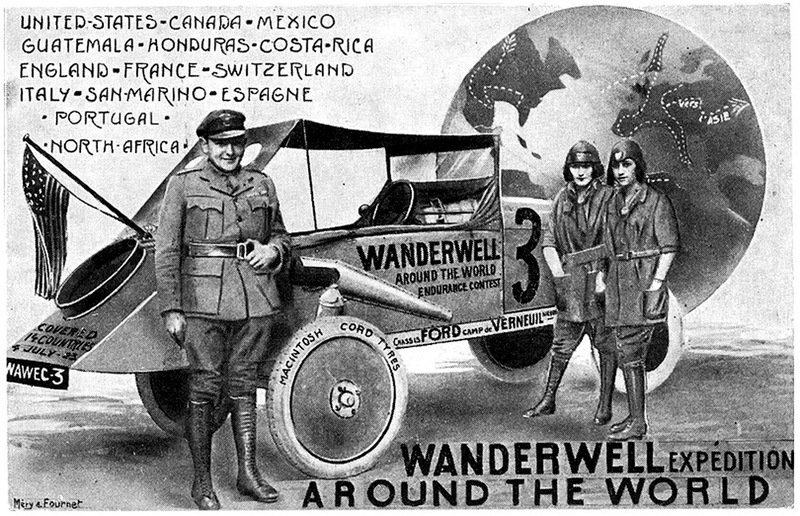 Captain Walter Wanderwell, an adventurer, inventor and former sailor with an itch for world travel, conceived the notion of circling the globe by automobile. Ultimately, the Wanderwells drove through 43 countries on four continents, in nearly four years in travels making a Ford the first round the world vehicle. 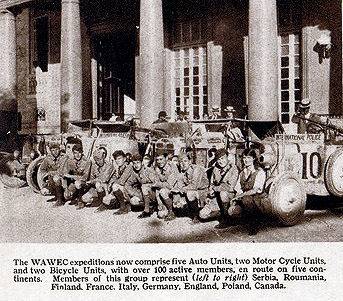 One of the original newsreels can be seen here http://www.lib.wayne.edu/resources/digital/vmc_newsreels/video.php?vid=5_25 Along the way around the world in search of adventure and restoring international travel after WW1, Walter Wanderwell ended up using elephant fat for oil, bananas for greasing the rear axle diff, and in places where gas wasn't available, hired people and horses to tow the vehicles. Wanderwell's exploits were news via papers and movie clips, and preceded him to Paris, where a 14 yr old woman needed an escape from a convent boarding school, inspired by the fantastic tales she read in her father's beloved collection of boyhood books, Idris dreamed of travel, adventure, and intrigue in far-flung corners of the globe when reading an advertisement in the Riviera edition of the Paris Herald caught her eye: "Brains, Beauty & Breeches - World Tour Offer For Lucky Young Woman.... Wanted to join an expedition...Asia, Africa...." and when getting his autograph in Paris, she convinced Walter of her beneficial attributes. For besides her youth (13 years junior to 27 year old Walter) and beauty, she was fluent in French, Spanish, Italian, and marginally fluent in Russian, Chinese and Japanese. 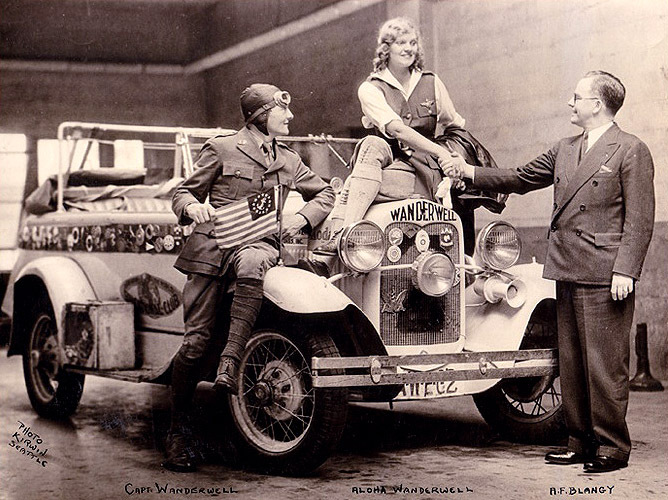 Upon meeting the eager teenager, he was immediately struck by her charisma and adventurous spirit, welcomed her to the crew. 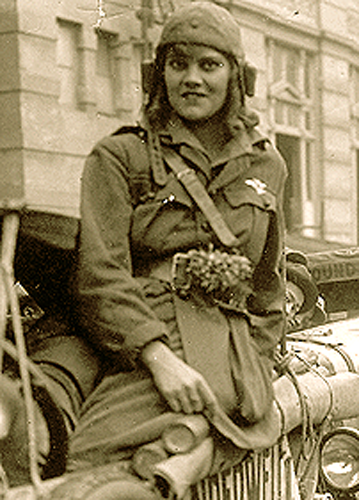 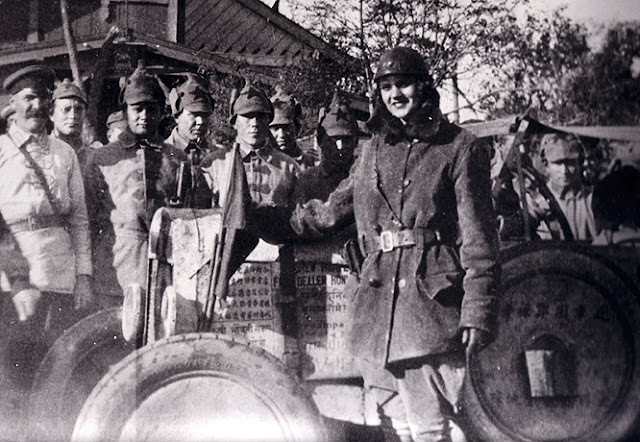 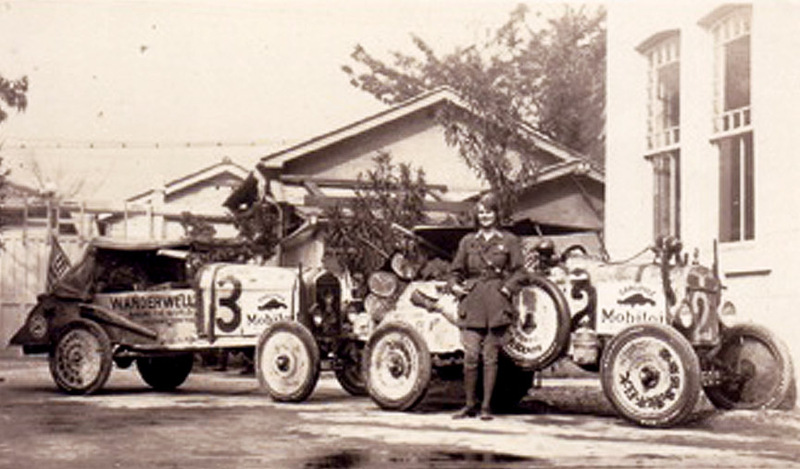 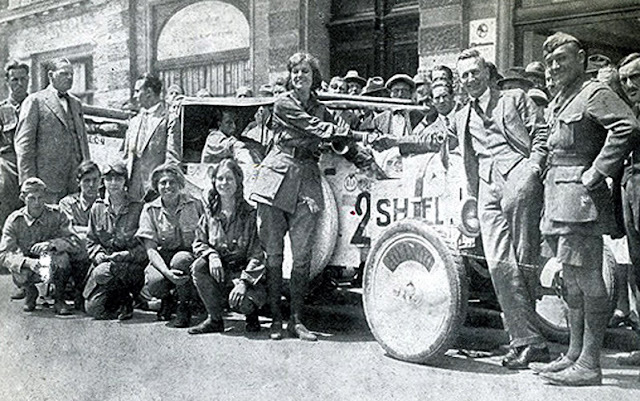 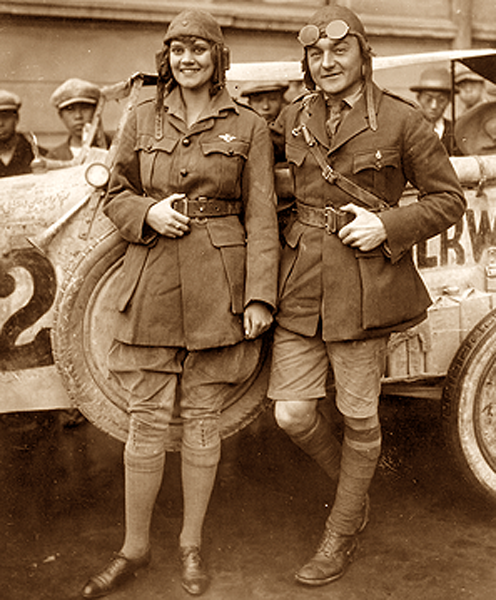 By taking command of Unit 2, Aloha became the first woman to drive from Paris to Peking as well as the first woman to girdle the globe south of the Himalayas. At times she disguised herself as a man and prayed in Mecca… hunted elephants in Indo-China, became a confidante of Chinese bandits, and was even granted the title of "Honorary Colonel” in the Red Army of Siberia… and hob-nobbed with Mary Pickford and Douglas Fairbanks during a visit to Hollywood. 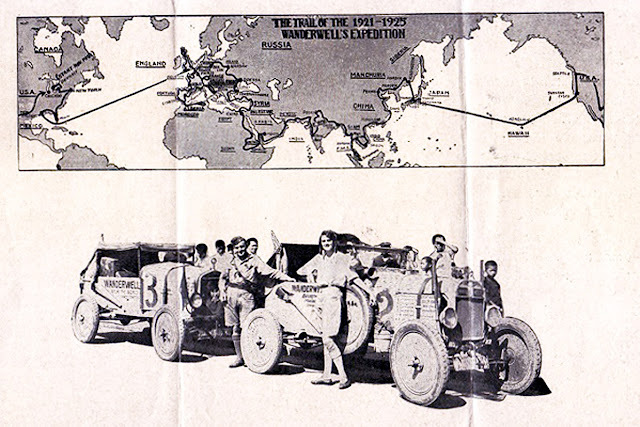 Together, the two Ford cars covered Spain, Portugal, Morocco, Italy, San Marino, Switzerland, Belgium, Holland, Germany, Poland, Russia, Romania, Bulgaria, Greece, Turkey, Syria, Palestine, Egypt, crossing the Red Sea then to India, Burma, Indo-China, Siberia, Japan, the Sandwich Islands, and arrived by steam ship January 5, 1925 in San Francisco, for the last leg of the around the world tour. 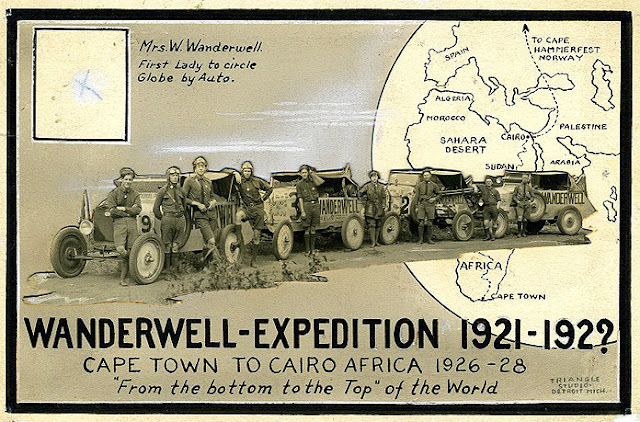 Captain Wanderwell kept the expedition alive in a time where financial contributions from sponsors were unheard of. 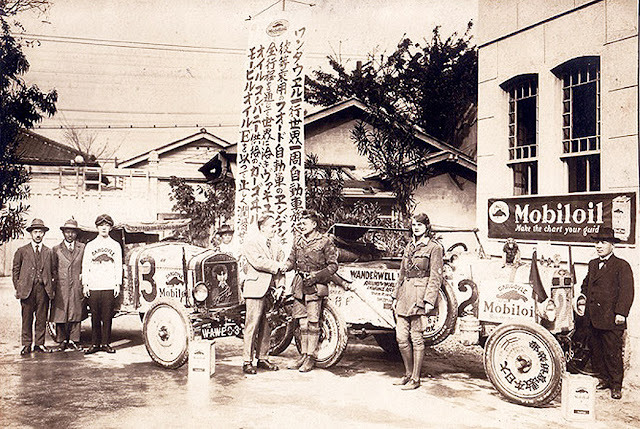 He sold ads and bartered with local merchants to bring in the revenue that kept them moving forward. 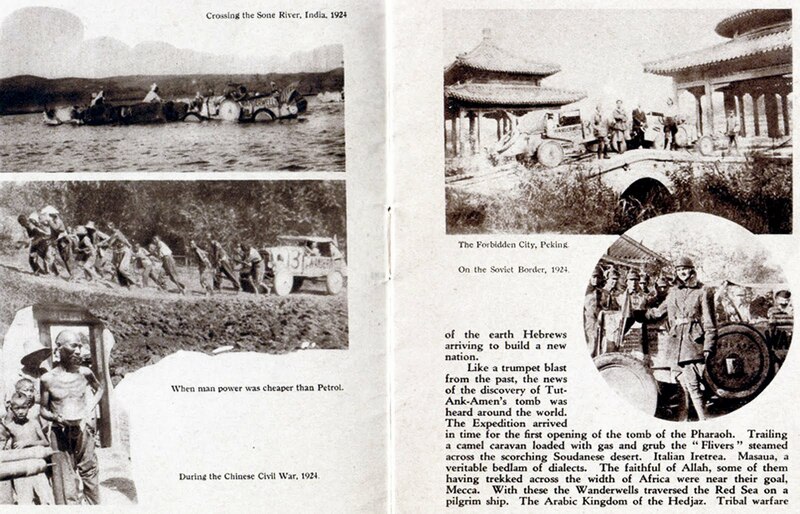 He cranked tens of thousands of feet of film through 35-millimeter movie cameras along this fantastic journey. These films were shown in theaters to paying audiences in every city they visited, after which souvenir booklets of the trip were sold, thereby generating the money needed to buy gas and supplies so the expedition could continue. About halfway through the trip--which took almost three years--the Wanderwell group learned that Gen. Billy Mitchell had sold the U.S. government on the idea of sponsoring the first effort to circle the world by air (the Great Air Race) It would be made by half a dozen early Douglas transport planes, crewed by Army pilots and navigators. 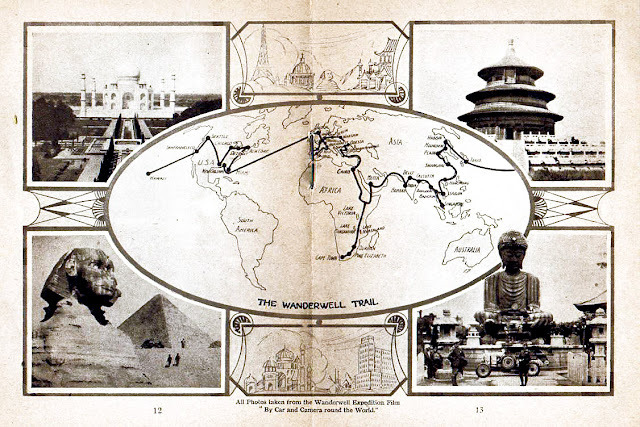 As Mitchell predicted, the idea attracted a great deal of public attention all over the world. The Wanderwells left their cars on display in a central square in downtown Calcutta after arriving in a mad dash from Egypt, and went to bed. 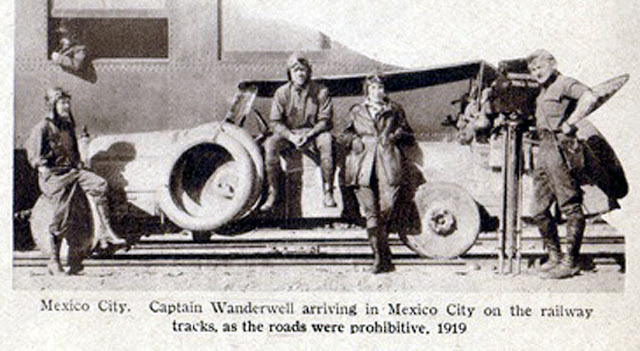 By the time they were rested, two of the Douglas World Cruisers had landed in a river next to the square (the planes were equipped with pontoons) and were also on display, along with the crews that had flown them there. 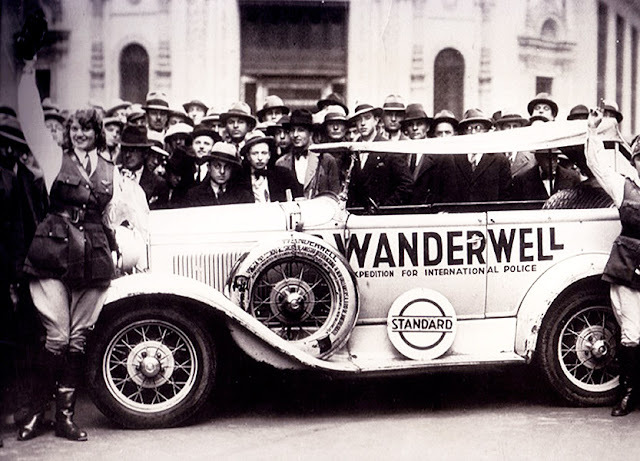 By 1929, when they had concluded their initial trek across the globe and released their documentary WITH CAR AND CAMERA AROUND THE WORLD, the Wanderwells had become internationally acclaimed explorers. 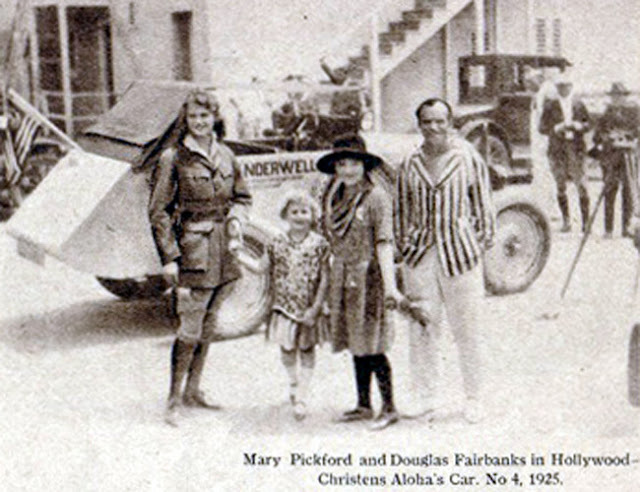 Their initial expedition was followed by an even more extraordinary adventure deep in the Mata Grosso region of the Amazon basin, when their plane went down in the uncharted jungle and Aloha had to remain behind with an indigenous tribe while Walter slowly made his way back to civilization to secure replacement parts, a trek that took several months. 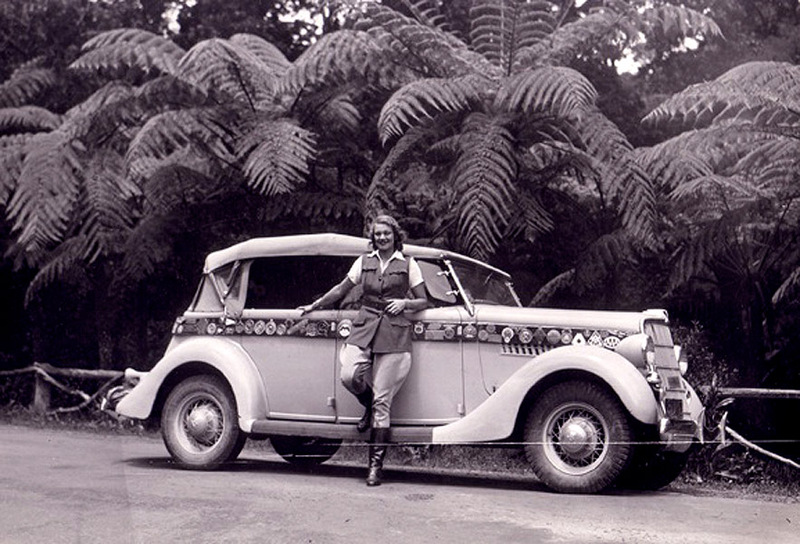 The ever-resourceful Aloha charmed the natives, continued filming, and carefully documented their lives. 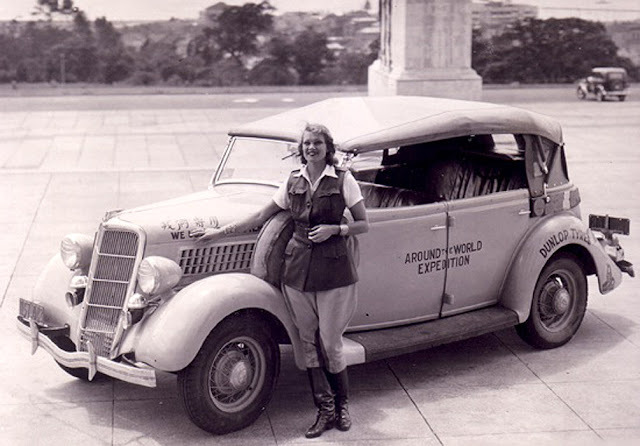 Her film, FLIGHT TO THE STONE AGE BOROROS, was the earliest filmed record of the Bororo tribe and stands today as an important anthropological resource within the Smithsonian Institute’s Human Studies Archive. 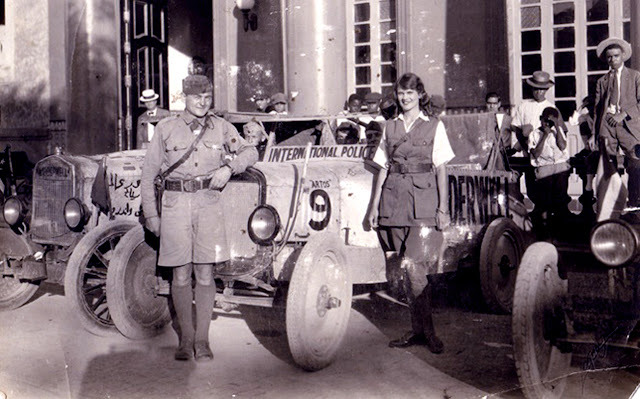 When they returned from a trip to Europe in 1932, they bought a yacht that had been confiscated from rumrunners by the U.S. government. 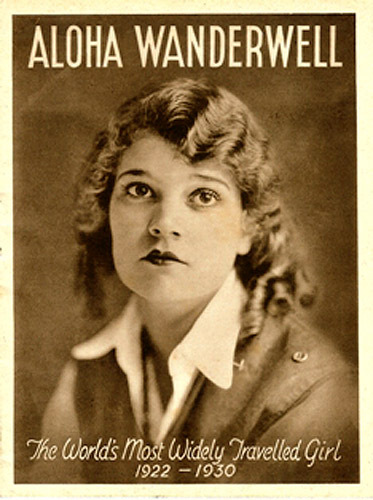 Wanderwell spent much of his time on the yacht while Baker was editing film in Hollywood. 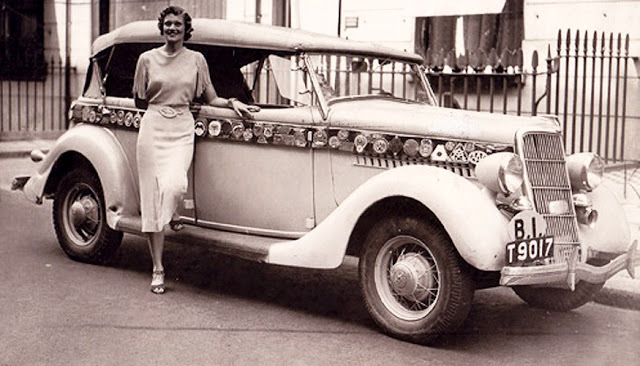 via http://automuseums.info/node/1154 where they are helping to spread the word that Richard Diamond, ( AlohaWanderwell@cox.net ) Aloha's grandson who looks after Aloha Wanderwell's legacy is trying to find any of the original cars from the expedition "if anyone knows of any of these cars that might be in a collection please contact AlohaWanderwell@cox.net . The hoods from some of these auto's, had signatures from USA presidents, famous actors etc. they may still exist"
Alan Boyd and Richard Diamond are working on a film documentary to be called, A DRIVING PASSION. It will include the remarkable films of the Wanderwell Expedition, unseen for over 65 years. I hope this exciting adventure documentary will finish production in the future.